- It’s a (chocolate) wrap. The past two years I have been introduced to the world of good cocoa and discovered that chocolate is as complex as wine both flavour and production wise, no wonder the world needs chocolate sommeliers. After many tastings and workshops i finally had the pleasure to work with the team of Equipoise to create the packaging of their special edition chocolate bar made of the first cocoa auction organised in 2018 at the Chocoa festival. 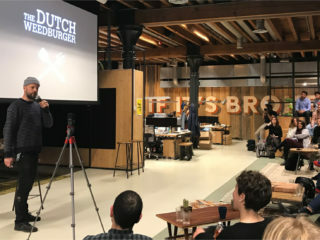 It was very inspiring to work for such a special product being introduced to professionals and the public in the unique Beurs van Berlage of Amsterdam. Yes, i do have a sweet tooth, my French heart skips a beat when passing a good patisserie and now melts in good cacao company.